To serve accounts and develop comprehensive proposals for clients. Plan, propose and execute advertising and promotion activities in line with corporate guidelines, to achieve set objectives. Oversee the status of the campaign in terms of delivery and specifications. Prepare reports, keeping records and financial details. Candidate must possess at least Degree / Diploma in Marketing, Mass Communications or equivalent. Excellent communication, presentation skills and customer oriented. A self-motivated, hands-on, independent and able to work under fast paced environment and within tight schedules. Preferably those specializing in Advertising / Media Planning, Marketing / Business Development and Sales with 2/3 years working experience. 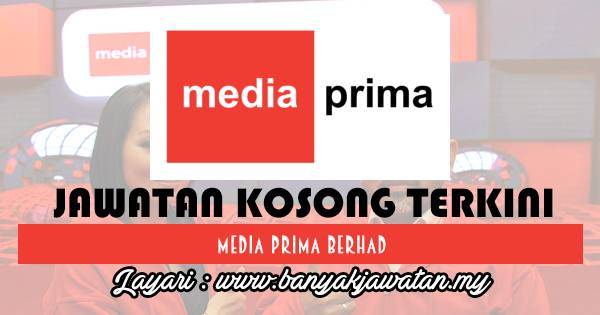 0 Response to "Jawatan Kosong di Media Prima Berhad - 13 Ogos 2018"